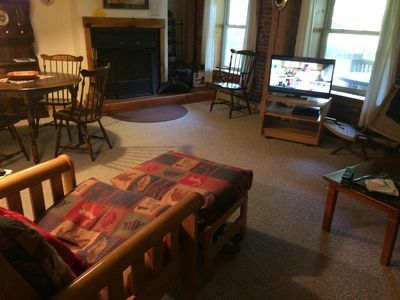 Our Lodge in Mount Holly has been completely redesigned to accommodate large groups that want a true vacation in the mountains. 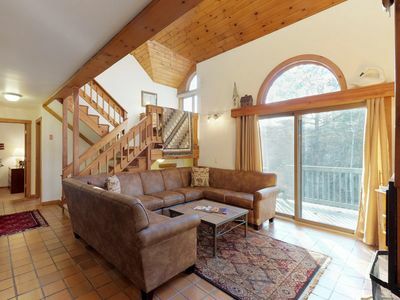 This amazing property has a fabulous open layout and amazing architectural features. 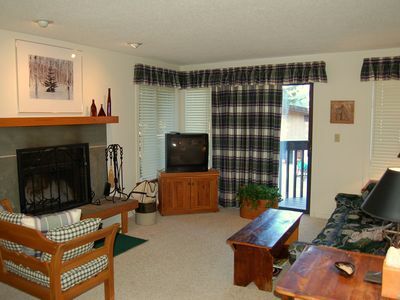 We have taken all that was good and updated the property to combine a great old lodge with all the modern amenities. Enter via the mudroom into the large main living area with a full kitchen, living area and dining area. 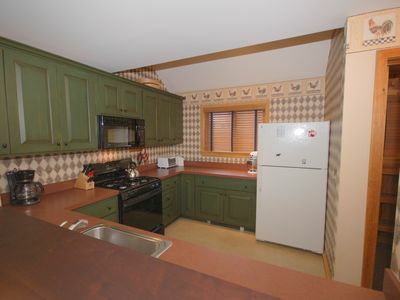 This level has 2 large bedrooms & a brand new bath with soaking tub. There is also a small bedroom with daybed & trundle which can be used as additional living space when not in use. Looking up to the 3rd level you'll see the 3rd floor balcony off what we like to call the 'bourbon st' bedroom. 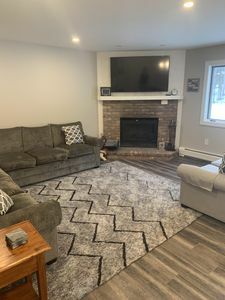 The upper level has two large bedrooms and a brand new full bath. The lower level has been overhauled to the create ultimate pub. 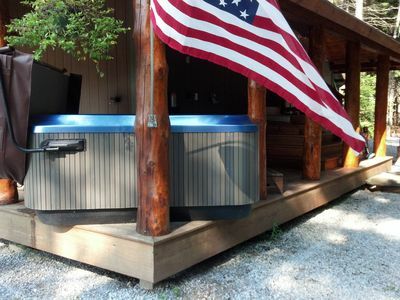 Pool table, wet bar, big screen, shuffleboard, outdoor hot tub with speakers. 2 add'l bedrooms & renovated bath in LL. 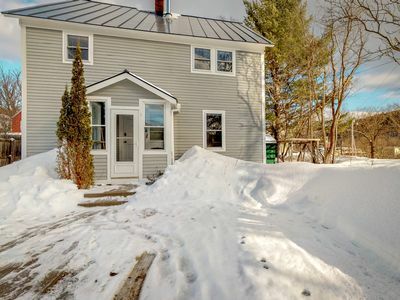 The layout - Main level: Dump your boots and skis in the mudroom and step into an amazing space. 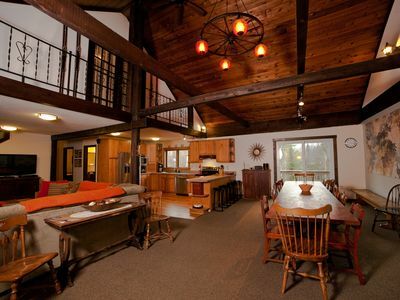 The main level of our home houses the living, kitchen and dining areas. This space boasts a fabulous open floor plan with partially vaulted ceilings and a wild wagon wheel chandelier. 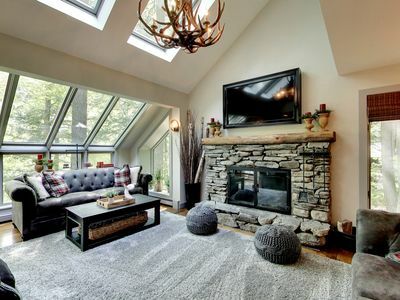 The living area focuses around the large stone fireplace and flat screen TV (satellite). 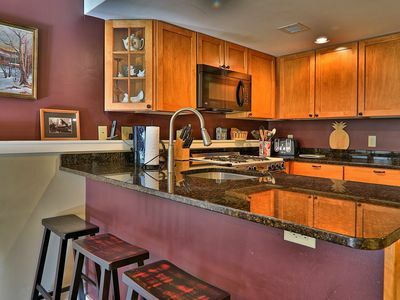 The kitchen is well stocked with large and small appliances as well as everything necessary to cook for your large group. You will love sitting down to eat that meal at our new custom 12' dining table with seating for at least 16. 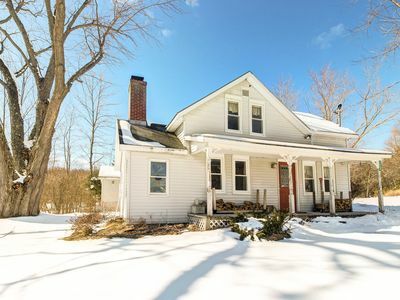 Other features include a beautiful stone fireplace and barn style doors that can be closed to create a private 7th Bedroom. 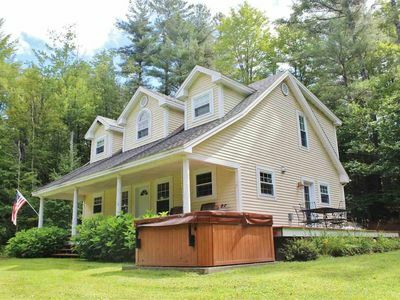 Additionally, there is a full bath with soaking tub and 2 large bedrooms on this main level. Bed sizes are somewhat flexible...please take a look at the bed layout information for details. 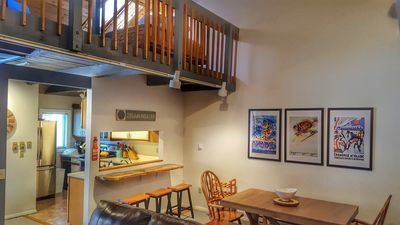 The layout - Lower Level: Step into your very own pub. 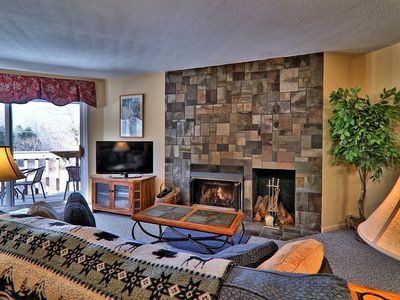 As you enter the room you'll find a beautiful pool table alongside another stone fireplace. Off to your left....the bar. Gorgeous green leather bar stools pony up to the custom live edge bar top. The bar area has its own TV, a sink and dishwasher and full size refrigerator/freezer. The door just behind it accesses the hot tub area. Stereo with IPOD dock setup with indoor and outdoor speakers. The far side of this large space contains the seating area and large TV/DVD. Beyond that, the 12' shuffle board table. Plaid carpet and recessed lighting give the space an amazing look! The third floor & Larger groups!! 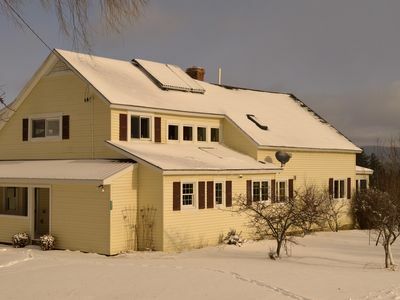 : Two large bedrooms and a brand new full bath with shower make up the third floor. The Bourbon Street bedroom has french doors that open to small catwalk overlooking the main level (BYOBeads) The other large bedroom on the third floor has gorgeous views of our property. The shared hall bath has been completely renovated and has a large shower. 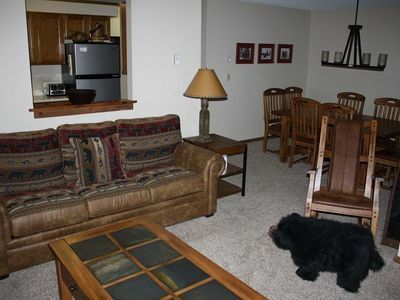 For larger groups, we also have a second smaller home on this property. 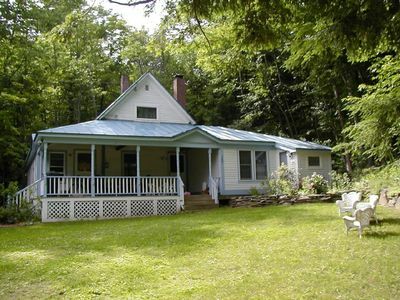 That home has a small living room with woodstove, a nice size kitchen and full bath with tub/shower downstairs. Upstairs are 3-4 bedrooms with sleeping for about 10. There is also a large bathroom with jetted tub on the 2nd floor (no shower). Please ask for more information. 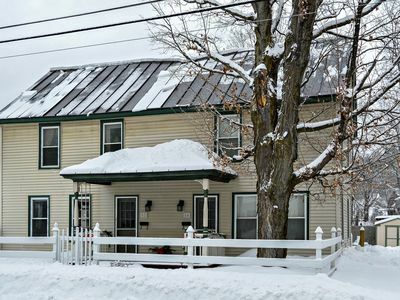 Cozy, historic home, quick walk to Ludlow village, shuttle to slopes! 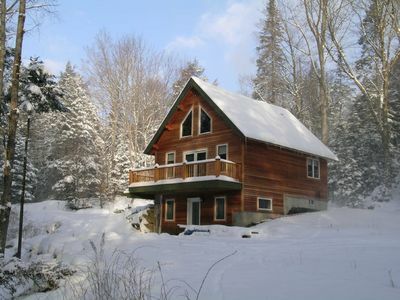 "The Antler House," an upscale private home located on one of Vermont's most science routes. 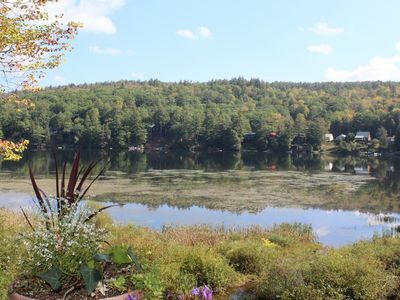 Conveniently located 3 minutes to Amherst Lake, and 15 only minutes to both Killington and Okemo. 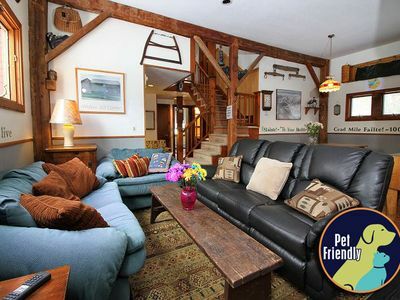 3 bedroom off mountain condo, Short Drive to Okemo Resort.